If you’ve noticed mold in your home or business, it’s vital to look for a professional mold removal service. Because mold can lead to the development of a number of serious health issues, it’s important to have identified mold inspected and removed by professionals. Let A Plus Mold Remediation Inc. be the choice for your mold removal projects! Why choose to hire a professional mold removal service? More often than not, owners of both residential and commercial establishments believe that mold is something they can handle on their own. But, bleaching or painting over mold doesn’t deter it from putting any individual which comes into contact with it from negative health effects. 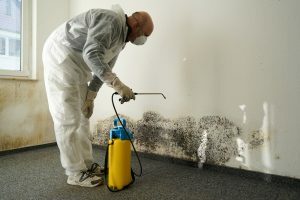 The best way to identify, test, and treat mold is by using a professional mold removal company. Here at A Plus Mold Remediation Inc., we understand the dangers of mold and exactly how to remove every type of mold safely and effectively. Mold cannot grow without water. Mold remediation starts with identifying water within the air, home, or business and stopping leaks/high humidity so that mold can no longer grow. Mold can be found both indoors and outdoors and can live in basically any environment. Because it’s a fungus, mold is living and spread by the release of minuscule spores which can enter a home or business by way of air. Although many people think that mold can be removed with bleach or other cleaning supplies, the only way to be sure mold will not reappear is to hire a professional mold removal company. There are a number of different types of mold which require different treatment measures. A professional mold removal company can identify and treat any type of mold found in home or businesses. Mold can often be identified by its odorous smell which can seem stale or musty. 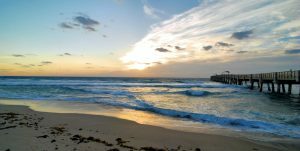 Your Lake Worth Professional Mold Removal Specialist – A Plus Mold Remediation Inc.
We service all of South Florida for mold remediation, including Lake Worth. We’re proudly NADCA/ASCS Certified through the HVAC Inspection, Maintenance, and Restoration Association of America. Along with mold remediation, we offer mold inspection, mold testing, HVAC cleaning, and general cleaning services! We can remediate mold from a number of different home or business surfaces including flooring, cabinetry, ceiling, drywall, and furniture! Our advanced technology allows us to not only identify the type of mold which needs remediation but the most effective way of treatment. This provides individuals peace of mind knowing that all mold, even spores unrecognizable to the naked eye, have been remediated. Need Professional Mold Removal in Lake Worth, Florida? Remember, choosing a professional service to remediate mold is important to be sure that any and all mold spores invisible to the naked eye have been removed from your home or business. And, our top of the line equipment is effective in safely identifying and remediating any and all types of mold which can be found in your residential or commercial establishment. If you need help with mold, look no further than the experts at A Plus Mold Remediation Inc.!